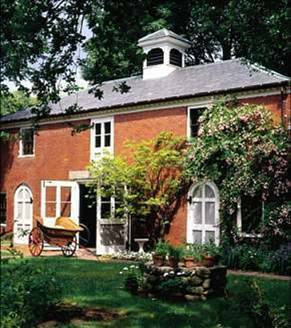 Beginning in April, take a self-guided tour of the PhillipsHouse carriage house, which is open during the warmer months. Over the past week, Historic New England staff prepared the carriage house for visitors to the Salem, Massachusetts, property. This process included removingcustom winter covers from each of the vehicles and carriages, starting the 1929Model A Ford, and giving the building a spring cleaning. When you visit, see the Model A Ford aswell as a 1924 Pierce Arrow Touring Car and a 1936 Pierce Arrow Limousine usedby the family until 1955. A Ladies’ Wicker Phaeton is also regularlyon view. Special tours of the carriage house are periodically available, during Historic New England’s Open House on June 7 andduring our Thirteenth Annual Car Meet on August 10. Phillips House is open for tours on weekends from 11:00 a.m. to 4:00 p.m., November to May. Beginning in June, Phillips House is open Tuesday to Sunday. Plan your visit.